Item # 313560 Stash Points: 5,495 (?) This is the number of points you get in The Zumiez Stash for purchasing this item. Stash points are redeemable for exclusive rewards only available to Zumiez Stash members. To redeem your points check out the rewards catalog on thestash.zumiez.com. 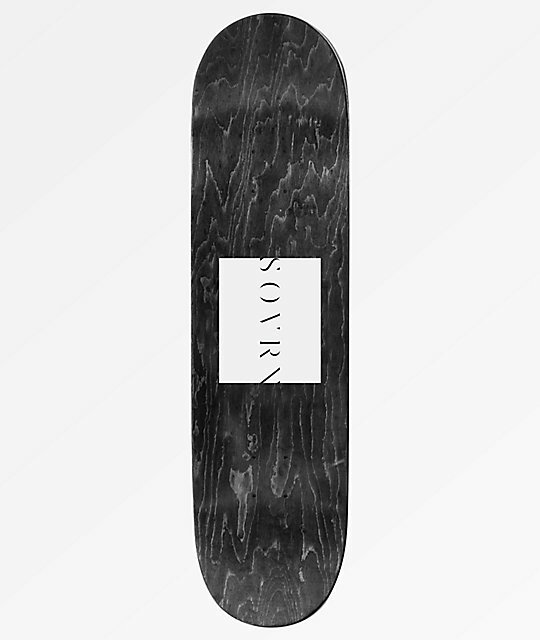 Grab a deck that will take your ollie-height to the next level, with the SOVRN Rouge 8.0" Skateboard Deck. Extremely long, and steep pitched kick tails maximize ollie power and height, while their very slightly tapered construction offer maximized surface area for controlled stalls and slides. Moderate concave throughout aids with flip tricks, and the small wheel wells leave space for larger, more street, or vert-prone wheels. 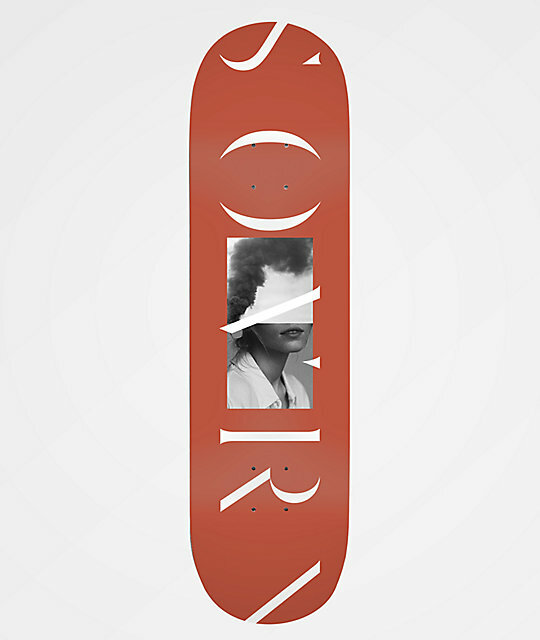 Rouge 8.0" Skateboard Deck from SOVRN. Signature artwork by Alexandre Souetre.